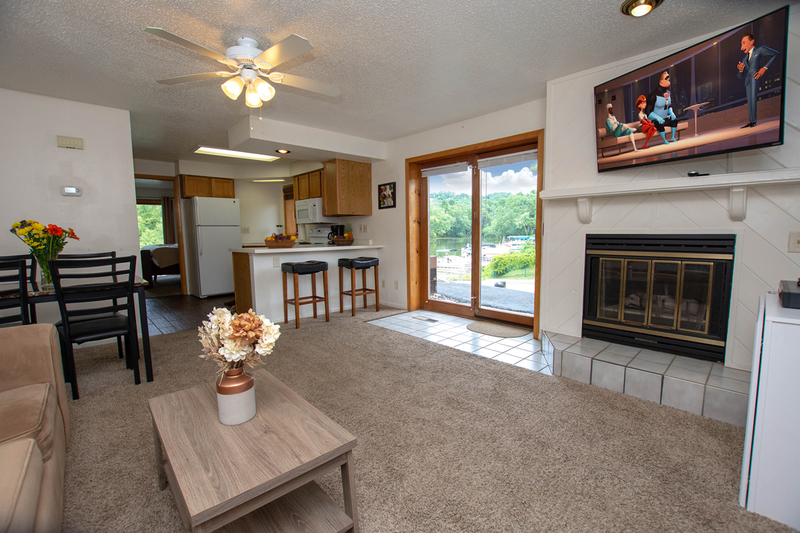 Whether you’re traveling to Wisconsin Dells with family and friends, on business or visiting area attractions we invite you to enjoy the comforts and conveniences of home in one of our high quality vacation rentals. 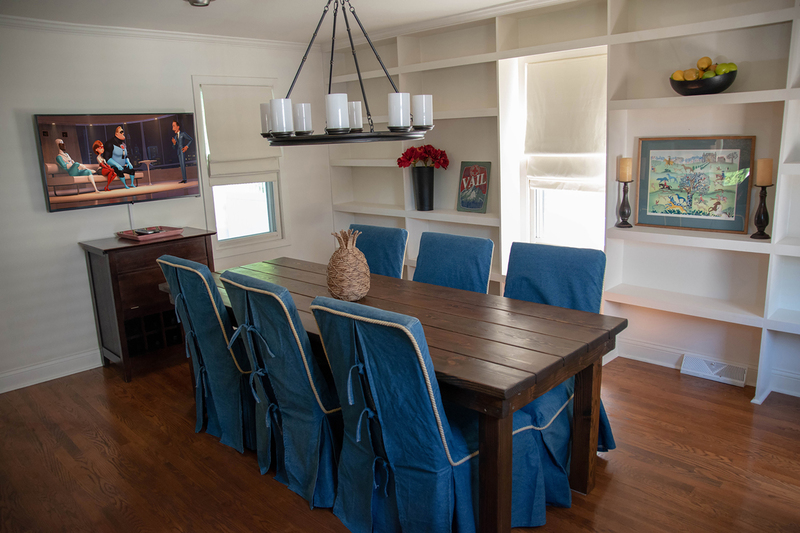 Kick back in the Wisconsin cabin you've always wanted complete with the amenities you deserve. Immerse yourself in the local flare early and often. With the downtown Dells at your doorstep and area offerings all within a short drive your next Dells Vacay is sure to turn unforgettable experiences into lasting memories. Find new ways to connect with old friends at the finest Wisconsin Dells lodging. Whatever your itinerary dictates. We’re here for you. If at any time you require assistance during the planning process, feel free to contact us. We are based in Wisconsin Dells and local to the area. We’re familiar with everything Wisconsin Dells. Count on us to help plan your dream vacation in the Dells. Come sleep with us! Looking for a fantastic and family friendly vacation home? The Field House is for you. A detached game room, four bedrooms and seven flat screen TVs make this the ideal Wisconsin Dells vacation home for your Family or Fantasy Draft Weekend. 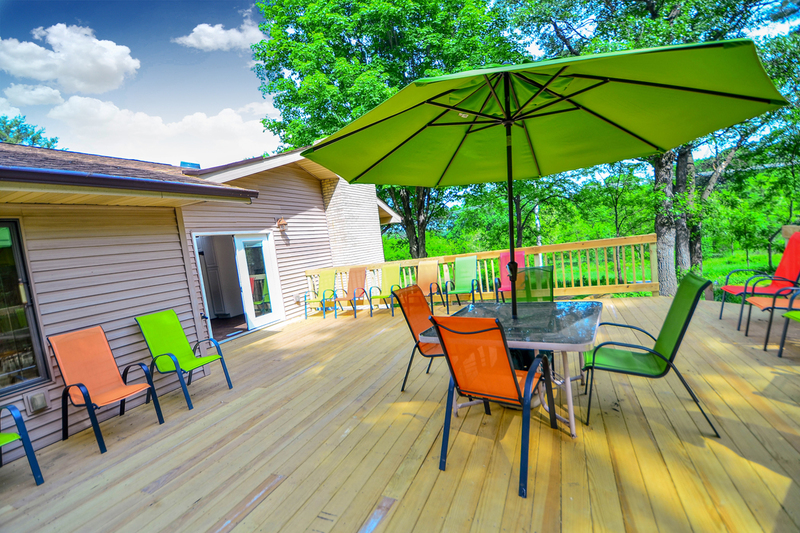 Prefer to be a little closer to nature and out on the deck? Bigfoot Bungalow makes for the perfect place to stay within minutes of Wisconsin Dells Parkway. Nestled amongst the trees this gorgeous five bedroom home isn’t short on outdoor space or personality. Need a cozy two bedroom condo within walking distance to JustAGame Fieldhouse for the big game? The Riverwalk Retreat has amazing views of the Wisconsin River and provides easy access to downtown Dells dining, shopping and entertainment.